Janelle Orsi of the Sustainable Economies Law Center. 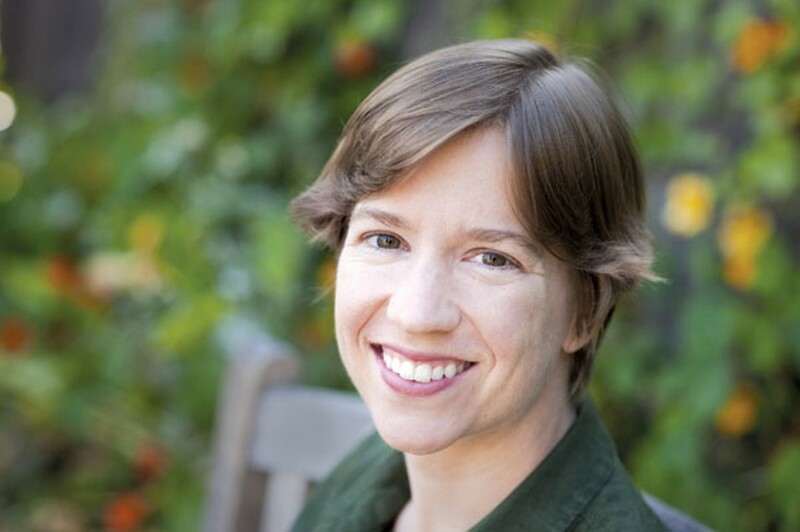 Berkeley attorney Janelle Orsi is the co-founder of the Sustainable Economies Law Center (SELC), which aims to help social enterprises, worker-owned co-ops, and other mission-oriented enterprises sort through legal red tape. The co-author of The Sharing Solution, published by Nolo in 2009, Orsi also has a private legal practice focused on mediation and helping people share housing, cars, land, and other commodities. We talked to Orsi about the legal gray areas that social entrepreneurs can find themselves in, and what SELC is doing about them. What is sustainable economies law? Why did you create a center on this topic? Jenny Kassan and I founded SELC so we could start to enable a different kind of economy. [Editor's Note: Jenny Kassan is a contributor to this publication.] The economy that we envisioned is not so much based on traditional buying and selling and the owning of things, but more on new kinds of transactions like sharing and barter, exchange, cooperative ownership, systems of borrowing, and lending of goods. These are things that — because people are not used to doing them and they're not a part of our normal livelihoods — the legal system is not set up for them, and there are a realm of unanswered questions. What is SELC currently working on? We now have four law-student interns with us all summer and we are doing a few different things. We're creating a library of resources for urban agriculture, and answering common legal questions for people doing urban ag — for example, how to get land, how to overcome zoning barriers, how to deal with liability issues and insurance, whether there can be property tax incentives for growing in urban areas, how you can sell food you grow in your yard, how a for-profit urban farm can use volunteer labor because they often do but it often violates labor law. We've taken on a few clients, and a handful of organizations that do urban farming have come in for consultations. What other issues does SELC work on? We have five programs. Another program involves helping set up worker-owned cooperatives. We also have a program called Community-Supported Entrepreneurship that deals with questions like, "How can a small, local business finance themselves using local resources rather than venture capitalism or angel investors?" We are creating a FAQ about how to raise money creatively for a small business, and we are looking into ways that businesses can raise money using gift certificates, or through a subscription to a farmer's season of harvest, to use an urban ag example. One thing that Jenny and the interns did is write a letter to the Securities and Exchange Commission requesting an exemption from securities laws for investments under $100. So say I wanted to start a coffee shop and I need $20,000 to get it going, I could put the word out on the Internet or through friends to get 200 people to invest $100. If the SEC responds positively to our letter and allows small businesses to get small investments, it could revolutionize how businesses raise money. And the people who provide the funding would become investors and own a piece of the business; they would have some equity in it. Right now, there are very few exceptions that allow people to raise money in that way and in order to do it, you have to go through a huge compliance hurdle that involves lots of disclosures, and which costs a lot of money. The fourth program deals with local currencies and barter. We're creating a how-to guide to bartering because there are two legal issues. One is tax issues, and knowing when you are and are not obligated to pay taxes on a barter transaction. We're trying to develop guidelines for that. The other legal issue is employment laws. If, for example, you work in exchange for food, then under typical labor and employment laws, you are technically considered an employee, even if you do it voluntarily. The farm owner could be on the hook for not following employment laws. We are also dealing with a gigantic question around local currencies and how to regulate them. We have a client, Davis Dollars, where they've printed local currency for the city of Davis, and they've gotten businesses on board with accepting it. This gives people an incentive to spend locally and they make the local currency cheaper than cash, so $10 Davis Dollars costs $9.50. They are putting more money in circulation in a small way. There are different legal issues — whether the administrators qualify for tax exemption because they would like to be a nonprofit, and whether this organization is technically a bank and should be regulated like a bank. We are doing a survey of how currencies around the world are structured and how they comply with regulations. We haven't really found a good model yet for a local currency system. This is a huge area that needs a lot of attention. Our fifth program relates to housing. We call it the Shared, Sustainable, and Slow Housing program, and we want to create more resources to help develop affordable housing and create shared housing arrangements. Hopefully, we can create a resource library on shared housing. What should businesses doing this kind of work know that they might not? Most social entrepreneurs are going to run up against interesting legal questions because they are engaged in an activity that puts them in a legal gray area, such as the gray area between who is the employer and who is the employee when you're running a worker-owned co-op. There are a whole list of gray areas for social enterprises because it falls into this area of being a nonprofit and a for-profit. In many cases, people will be okay because everyone is happy, and no one tries to bring a lawsuit. But we do want people to do it legally and to be comfortable doing it, and to not run into problems later on. Is there a reason you are doing this work now? It feels like there's an explosion of people who are interested in doing these things, partially because of the economy and because people are realizing how much we are destroying the planet, and those things are coming together, causing people to look at alternatives. Urban ag is booming — you see it in the news constantly — and then it feels like the local currencies and barter is starting to grow. And there's the whole movement around social enterprise, and new, creative business types have been created to deal with the big barrier related to financing. We want to create tools that will enable a more sustainable and just and sharing alternative economy, and to get those resources out there so that anybody and anyone can tap into these resources and get their questions answered quickly. We'd also like to be more of a voice in the policy-making realm, and identify how policy could be more friendly to things like urban ag and shared housing. What makes you personally interested in looking at these issues? It occurred to me that sharing is such a powerful thing because we have this wealth of resources of housing, skills, cars, food, household goods. It's just that the way resources are distributed and used is very inefficient. So sharing makes sense. I formed my law practice to enable people to share, and lot of what I do is help people decide what kind of organization to form, if they want to create one, to do that. I also help them formalize agreements to, for example, share ownership of a house, and do it without violating the law. Originally, I wanted to work with youth and become a juvenile defender, and I thought I would fight for youth one at a time and keep them out of the system. And then I realized that working in the community to provide stable housing, work opportunities, learning opportunities, creating organizations and alternative economic options is what is actually going to keep them out of juvenile hall. The Oakland office products retailer was inspired by Newman's Own to build a socially responsible business.